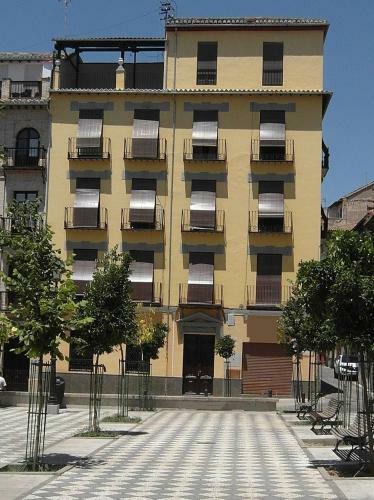 Alhambra Zoom Apartamentos offers pet-friendly accommodation in Granada. Granada Cathedral is 400 metres from the property. Free WiFi is provided throughout the property. All units feature a dining area and a seating area with a flat-screen TV. This hotel is 1043 metres from the Alhambra entrance, 378 metres from Plaza Nueva (the absolute centre of Granada), 1822 metres from the train station and 3325 metres from the bus station.